$3 Off $5 panda Express Order!!! 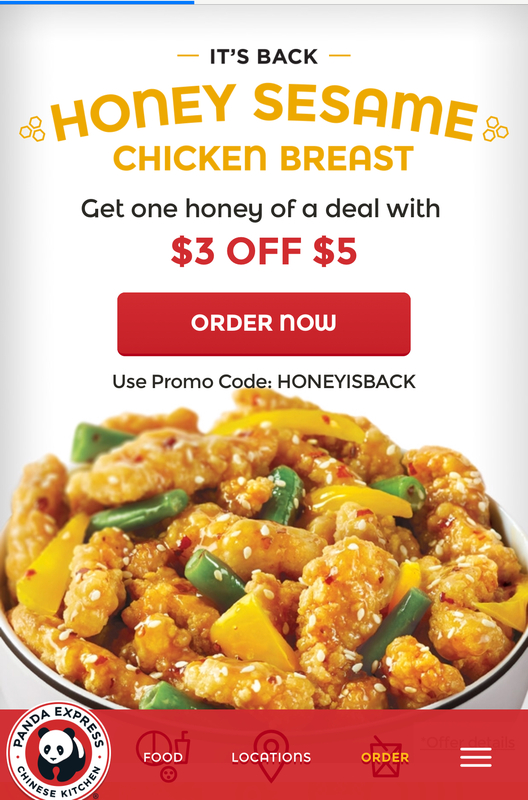 Enter the Promo Code HONEYISBACK and score $3 off of you $5 purchase!!! Have a Fun Day at the Park With The Kids For $5! Share Your Talents and Strengths and WIN from Culturelle -Plus Grab a $5 Coupon!